FEEL THE RUSH OF THE ESCAPE AND THE THRILL OF THE TAKEDOWN! Outrun the law as a Racer in supercars like the Pagani Zonda Cinque – or stop racers cold as a Cop in high-speed police interceptors like the Lamborghini Reventon. 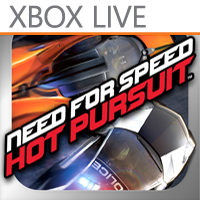 Enabled for Xbox LIVE®, experience pulse-pounding action as you make the escape or make the bust with Need for Speed™ Hot Pursuit on Windows Phone. Welcome aboard the next generation of time management! 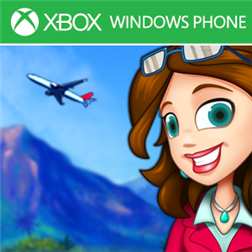 Help April build her budding travel agency empire and fly customers around the world in this gorgeous game of planes, pools, and everything in between. From Hong Kong to Hawaii, nothing is off limits. Time management games come and go, but this one is here for a staycation. Treat yourself to an exciting take on the world’s #1 puzzle game from PopCap! Play for free on your Android as you match and detonate as many gems as you can in 60 action-packed seconds and compete with Facebook friends. Create a rich fantasy world filled with playful attractions, toy-like interactions and goodie-filled shops! The best-selling Theme Park series is back!